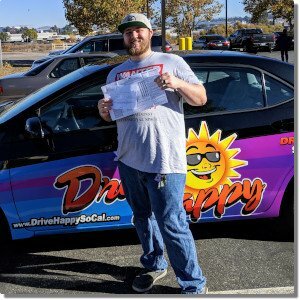 Trin From Temecula Passes The DMV Drive Test With Drive Happy! Congratulations Trin on passing your drive test on your first try, with a PERFECT SCORE!!! !😁 Trin had Amber as his driving instructor, and took the test in the car he trained in. Congratulations!! We couldn’t be more proud! 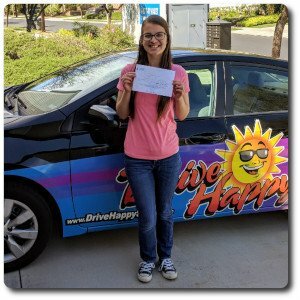 Ashley From Temecula Passes The DMV Drive Test at Temecula! 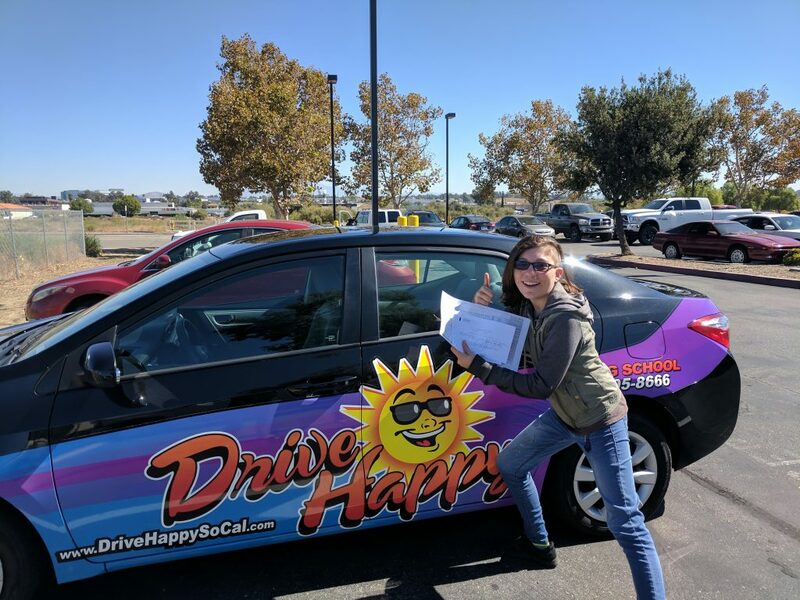 Soraya From Temecula Passes Drive Happy Online Driver Ed! 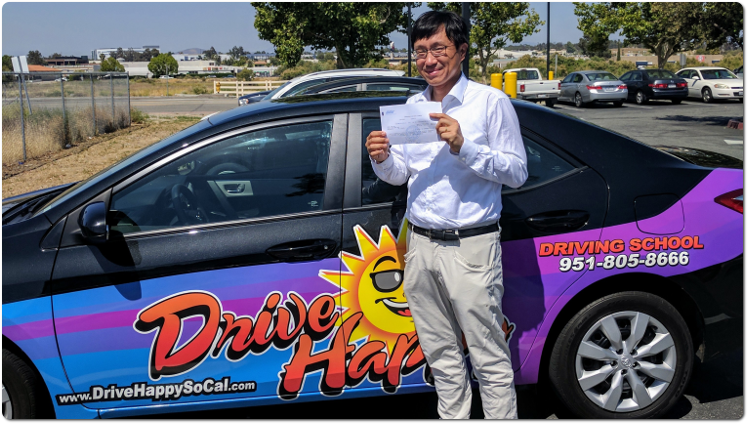 Naisy From Temecula Passes The DMV Drive Test! 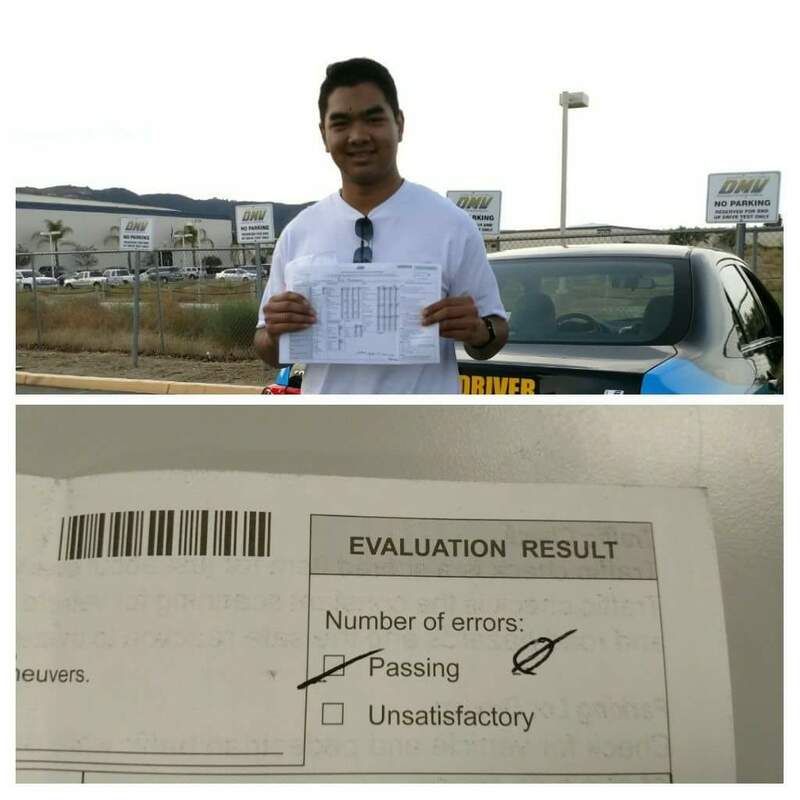 Congratulations to Drive Happy student Naisy from Temecula! 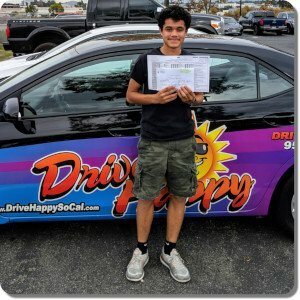 She took driving lessons with Josh and passed her DMV Drive Test at the Temecula DMV this morning! 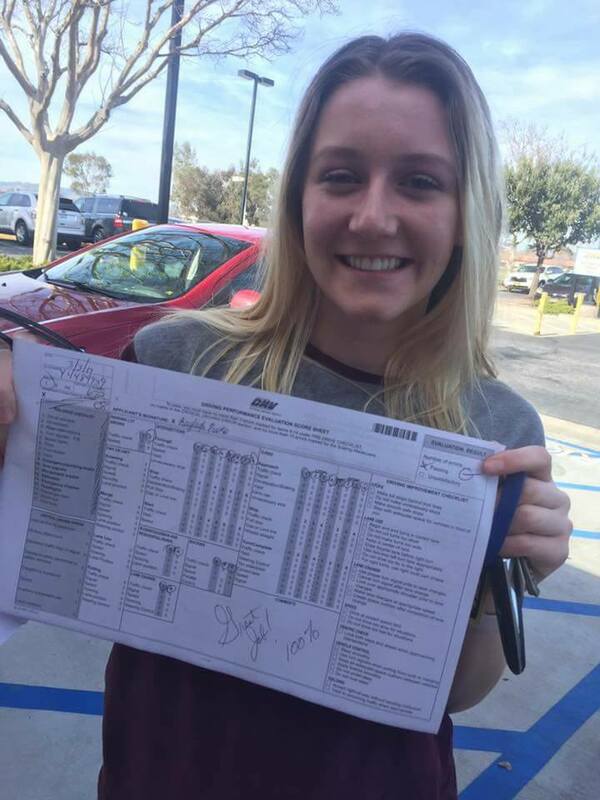 Lilly from Temecula started her summer off right by getting her license this morning on her first try!! 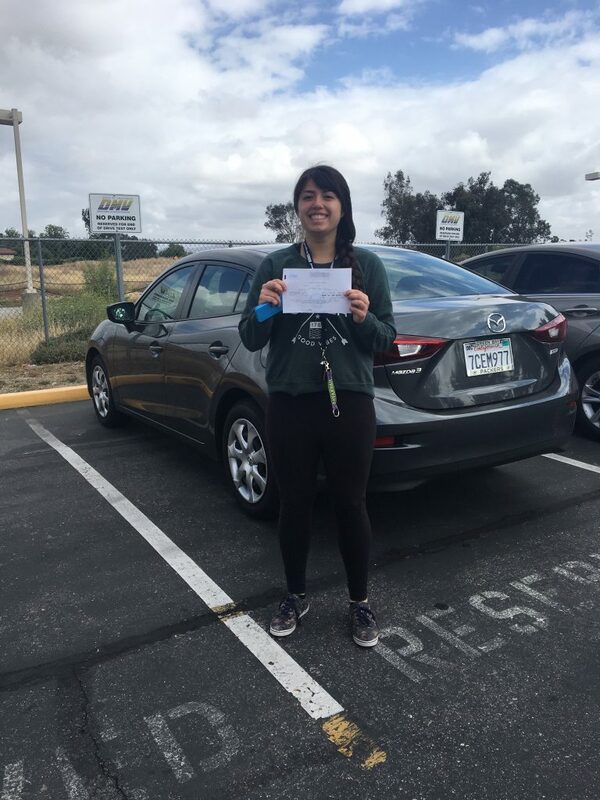 She took Behind-the-Wheel driving lessons lessons with Amber from Drive Happy and used the Drive Happy student driver car for her test at the Temecula DMV office!! Congratulations!! Kayleigh Passses The Drive Test! 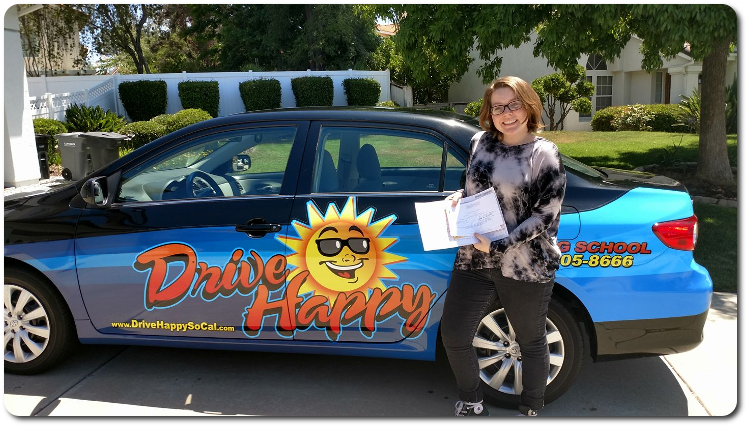 Congratulations to Drive Happy student Kayleigh! She took driving lessons with Josh and passed her DMV Drive Test with a perfect score! 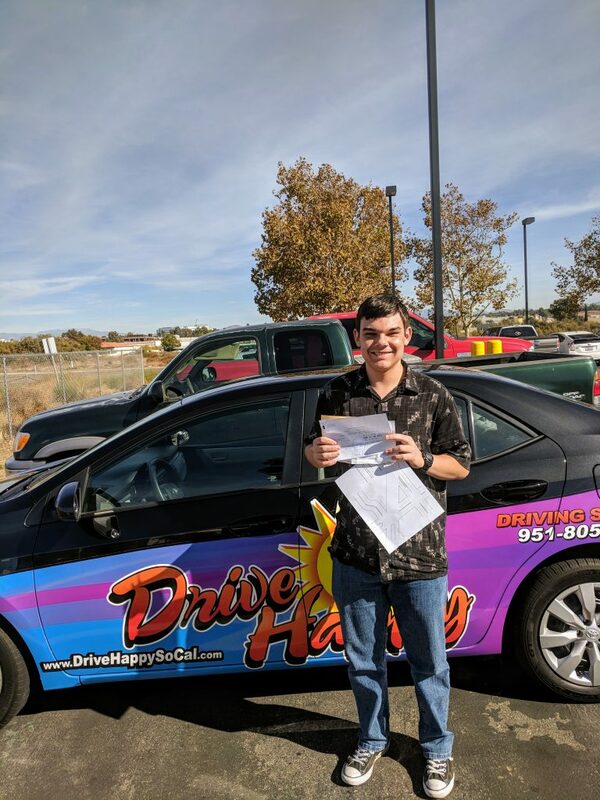 Matthew Passes The Drive Test! 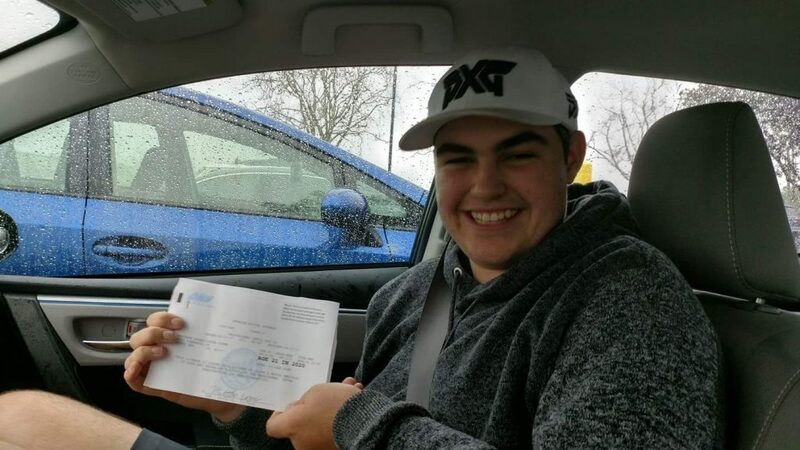 Congratulations Matthew on passing your drive test today!! He took lessons with Amber and passed on his first try in the pouring rain ☔ Awesome job! !